I personally love the taste and smell of fresh ginger, so much so that I even tried to grow ginger at home, which turns out is much easier than you may think. Go ahead and try to add a bit of ginger to your next green smoothie. The extra flavors are delicious and the health benefits are plentiful. Who could imagine that chia is one of the most nutrient-dense foods available? Chia seeds are ridiculously tiny but they pack a punch when it comes to nutrients. Two tablespoons of chia seeds contain roughly three times more iron and magnesium than a handful of spinach, twice the fiber of a cup of oatmeal, as much calcium as half a glass of milk and about as much potassium as a small banana. Chia seeds are also rich in omega-3 fatty acids. 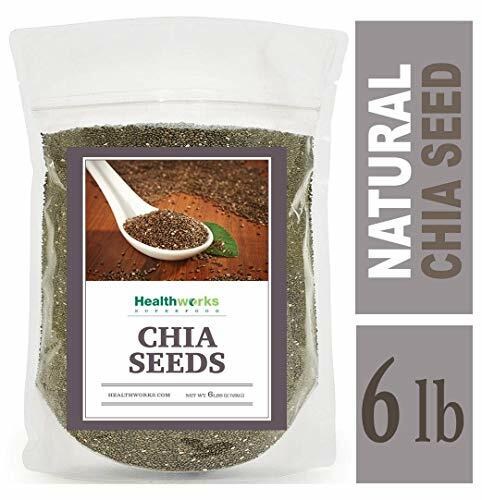 What’s great about chia seeds is that you can easily add them to things like yogurt and deserts, and also to green smoothies. Be careful when adding to smoothies though, because they turn into a gel type texture when soaked in liquid. So make sure to not be too generous with chia seeds or your smoothie will get thick and hard to drink. While honey is not known as a nutritional powerhouse, it does have a long medicinal history because of its anti-inflammatory and antibacterial properties. Good quality honey is rich in antioxidants which helps to protect our bodies against illness. But honey is still sugar though, so replacing conventional sugar with honey to decrease sugar intake is not the best idea. Using a bit of honey is an easy way to add some sweetness to your green smoothie. This is especially useful when you have a recipe with mainly vegetables. Don’t use too much honey though as it can easily become the dominant flavor. The sweetness from honey is very different from the sweetness from fruit, if you know what I mean. One of the most popular and hyped up health foods from recent years is spirulina. While some may consider it a fad, there’s no denying spirulina has a strong nutritional profile. With 58g protein per 100g, dried spirulina is one of the most popular sources of protein for vegans. Spirulina is also a great source of iron, magnesium, potassium and various B vitamins, in particular vitamins B1 (thiamin) and B2 (riboflavin). To take advantage of these nutrients, I often add a teaspoon of spirulina powder to my green smoothies. 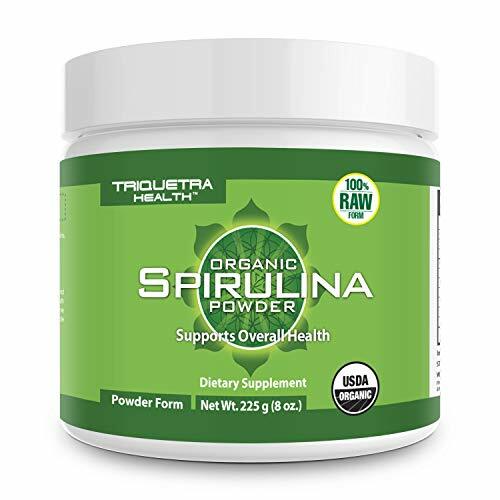 Spirulina, even the powder form, has a strong seaweed flavor so be gentle when adding it to your smoothies. Avocado seeds, really? Yes! Whenever I eat an avocado I keep the seed for my next smoothie. Rich in antioxidants, fiber and other nutrients, avocado seeds are in fact edible. And the best way to consume them is by adding them to green smoothies. The best way to remove the seed from the avocado is to cut it in half around the circumference. Then either insert a knife into the seed and pull it out, or use a spoon to lift the seed. I usually add one whole avocado seed straight into my Vitamix 5200 as I know it will crush it with ease. If you have a less powerful blender in your kitchen, simply try and cut the seed in half to make it easier to blend. Protein is an essential nutrient that functions as one of the building blocks of body tissue. With a normal diet, we should be able to get enough protein in so that we function properly. But depending on our lifestyles and habits, whey protein supplements can be useful to help our bodies recover more easily from, for example, heavy work-outs. The quickest way to consume protein powder is by mixing it with water. But I often add a teaspoon to my green smoothies if I feel that my body can use a bit more protein. When using protein supplements, it’s important to choose natural whey protein powder that doesn’t contain any nasty additives. Packed with vitamins and essential fats, almonds are a real nutrition powerhouse. Also referred to as “the king of nuts”, almonds offer a great amount of nutrients, such as vitamin A, vitamin E, manganese, copper, fiber, protein and omega-3’s. Despite their high fat content, almonds fit really well in a weight loss diet. Another advantage is that almonds contain very little sugar. Almonds are my top favorite snack for in the afternoon. They are nutritious snacks that satisfy my taste buds and prevent me from going for unhealthy snacks. But almonds are also one of my favorite smoothie add-ins. Depending on the other ingredients, almonds give my smoothies a good texture and they add great health benefits. Most green smoothie recipes need at least some water to make it blend-able. But instead of adding water, you may want to try adding green tea. Green tea has some great health benefits and is loaded with antioxidants. There are two ways you can add green tea to your smoothies. You can either add freshly made green tea, or you can also add some Matcha green tea powder. 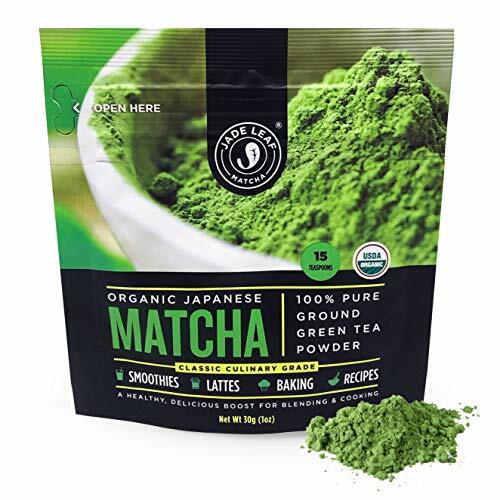 Matcha is finely ground powder of green tea, mostly produced and grown in Japan. In their last stages of growth, green tea leaves are placed in a shaded environment before harvesting. Protection against sunlight increases the levels of chlorophyll and amino acids. The leaves are then ground to produce a fine powder. This process enhances the health benefits. Did you know that egg shells consist of 95% calcium carbonate? The makeup of eggs shells is very similar to our bones and teeth which makes them an excellent calcium supplement. The best way to consume and digest egg shells is in a powdered form, but it’s important to clean the shells properly before consumption. I have been adding small doses of powdered egg shells to my green smoothies for a long time now. Keep in mind though that moderation is key as too much calcium is definitely not good for you. Turmeric is part of the ginger family and comes in two different colors, white and yellow. The yellow version is the most common type of turmeric. Native to India and often referred to as “Indian saffron”, yellow turmeric has a brown/yellow skin and orange/yellow flesh. It smells a bit like a mix of ginger and orange with a peppery and bitter flavor. Apart from the important role it has played in Indian cuisine, turmeric is also known to have strong medicinal properties. Turmeric in powder form is created by boiling, drying, and grinding the root. I personally love adding a teaspoon of turmeric to my smoothies. It’s not for everyone though as the flavors can be quite dominating. >> Check out my list of favorite affordable blenders for green smoothies.